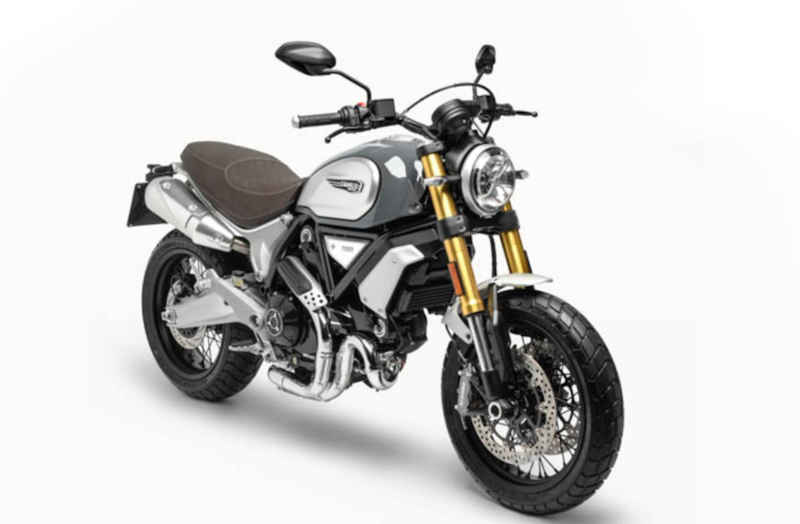 Ducati’s popular Scrambler range will go big bore for 2018, with the unveiling of the Scrambler 1100 at EICMA. The new Scrambler is fitted with a reconfigured version of the 1079cc V-twin Desmodue two-valve engine. The same fitted to the Monster model. Claimed power output is 65kw (86hp) at 7500 rpm and 688Nm at 4750 rpm running through a hydraulically-assisted slipper clutch. Other feature include an all-new twin-spar trellis frame, an upright seating position with wide handlebar, under seat exhaust system and dual-sport tyres. The electronics package features cornering ABS and traction control and three riding modes – Active, Journey and City. Australian availability and pricing will be released shortly. 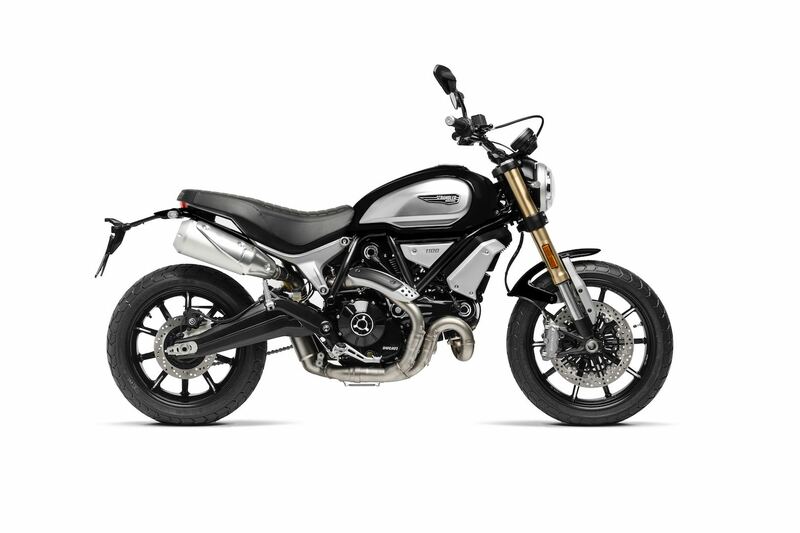 different versions: in addition to the Scrambler 1100, in fact, there’s the Scrambler 1100 Special, which draws its inspiration from the custom world, and the Scrambler 1100 Sport equipped with Öhlins suspension for the sportiest Scrambler riders. 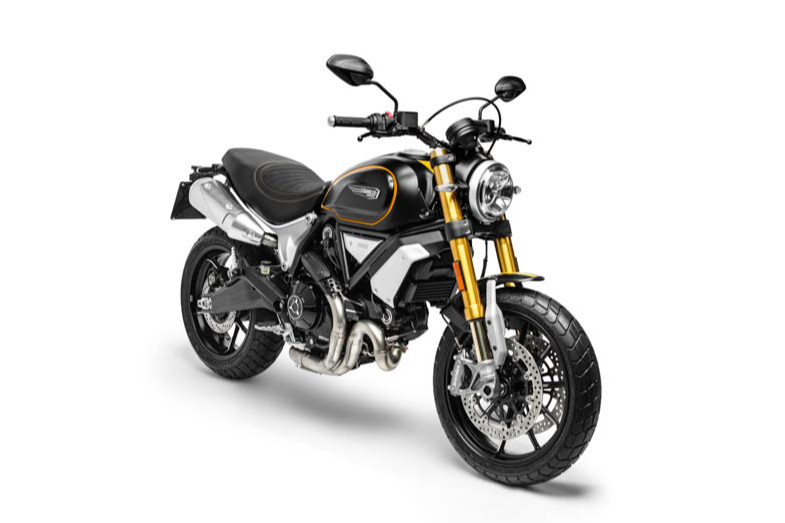 With the 1100, the DucatiScrambler sees the introduction of new, specially designed accessories and a dedicated apparel line that includes a leather jacket, a fabric jacket and an open-face helmet co-produced with Roland Sands. As the name implies, the Scrambler 1100 Sport takes a sportier angle. Inspired by the numerous “racer” bikes put together by Scrambler owners, this model is easily recognised by its forks and adjustable Öhlins shock. The Scrambler 1100 Sport comes in “Viper Black” with yellow tank sides and dual yellow striping down the middle of the tank and mudguards. It also features aluminium wheels with machine-finished spokes, tapered handlebars and a seat with a dedicated lining.